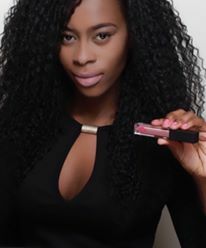 Reminisce by Ro Cosmetics is all about women empowerment. Bringing the beauty in every individual. It might take that one Reminisce product to bring out the confidence in you. My name is Rohey I am the founder and owner of Reminisce by Ro, I am originally from Gambia, Africa but I resident in America, Michigan. My interest in cosmetic products started when I use to watch my older sister get all dolled up and sometimes she lets me play in her makeup. I started doing my own makeup which made me love makeup. I always wanted to start up my own cosmetic line and I am finally making my dreams come true. Reminisce means indulge in enjoyable recollection of past events. All my work will be inspired by all the positive moments I encountered during my life time. When I buy makeup products I look at quality and most makeup products with good quality are very expensive which some people can not afford. My products are designed to be affordable with the combination of good quality. My mission is make women feel comfortable and be confident in their own skin. I believe in women power and we surly run the world. Visit the online shop. Click here.